Wood-look flooring: offering the appearance of real hardwood at a fraction of the cost, these laminate planks feature a textured surface for an authentic look and feel. The wood grain pattern repeats every 8th plank to provide you with a naturally random look. Family friendly flooring: designed for abrasion resistance and to not hold on to animal hair or dander, this laminate will stand up to busy households with children and pets. AC3 rated laminate: these robust boards have an AC3 rating, which means they are a great choice for homes with heavy foot traffic and can also go in commercial spaces with moderate traffic, like hotel rooms and small offices. Simple to install: a great choice for DIY homeowners, this innovative laminate flooring features an easy to use Drop-n-Lock installation system that can be installed with a floating method. Low maintenance material: simply use a dust mop or vacuum with a soft brush or wood-floor accessory to keep this flooring clean. A damp cloth or mop can be used for bigger messes. Post-purchase support: Lamton backs this flooring with a 25-year residential warranty and a 5-year commercial warranty. 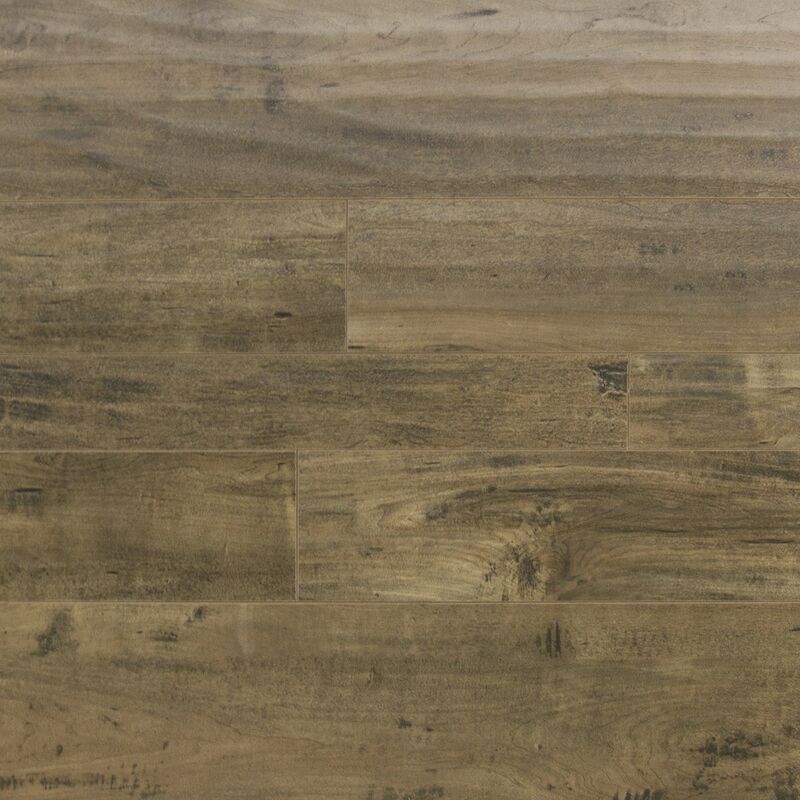 Product dimensions: these gorgeous planks measure 12mm Thick x 47.87” Length x 7.71”, 5.63”, 3.54” Width.